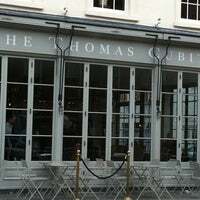 London's gastropub scene is ubiquitous, with a wide range of places to get good food and the perfect pint. Many of the city's gastropubs are well-known and most people will have a favourite, but did you know about these hidden gems? Set on a quiet road, this award-winning pub is a splendid spot to sit outside with a glass of excellent wine and top-notch food. One of London's first gastropubs it's found a winning formula and stuck to it. A small, daily-changing menu is based around what's in season and the wine list will suit most budgets. Clientele here is a mix of locals and people coming for a full-on meal out, and everyone seems to rub along very well. There's no music playing, but that doesn't make it like a library - the atmosphere is warm and welcoming. Come for the hanging baskets, stay for the food. Once you know where it is, it's impossible to miss this pretty little spot that's festooned with flowers. Excellent food, and a wide wine selection make this a favourite for Notting Hill locals. The Sunday roasts are particularly worth the trip, although the prices are pretty well in-keeping with the costly area. There are no bookings at this atmospheric gastropub, so be prepared to share some wine at the bar while you wait for food. That's only going to help you and your date get to know each other. The British cuisine is still reliably superb and well worth waiting for. The slew of candles makes this place extra romantic (and rather warm) too. 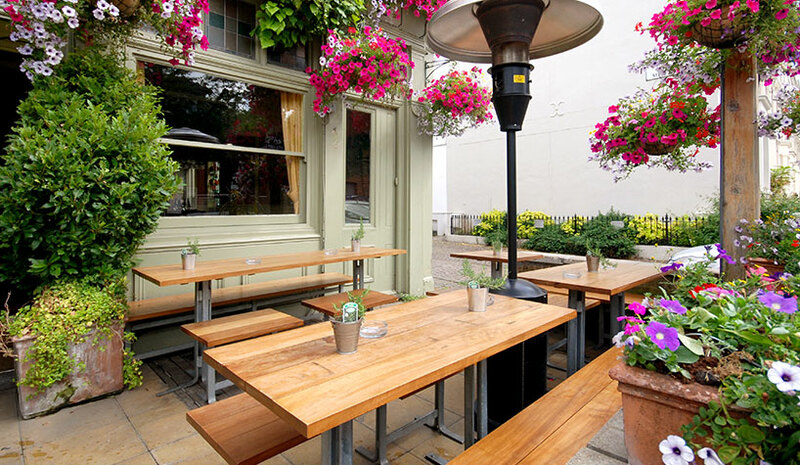 One of London's best gastropubs, this gem on the southeast corner of Hampstead Heath is a magnet for dog walkers. 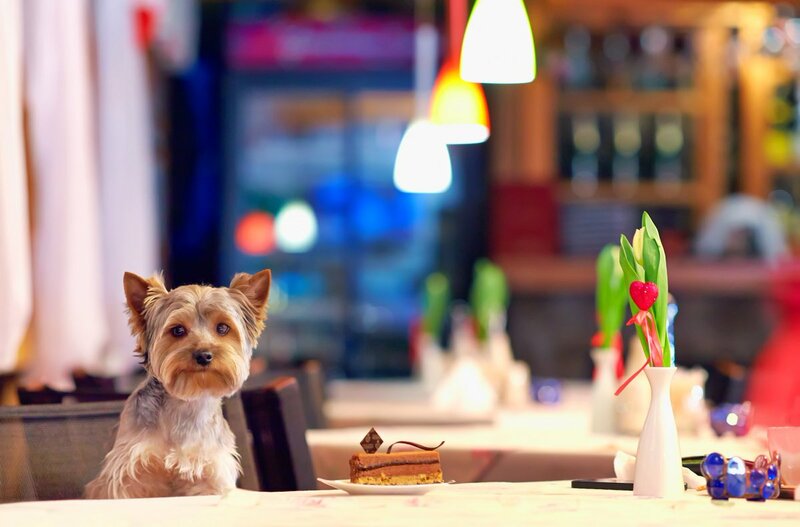 They even have marrow bones and pig's ears for your canine companion to chew on while you chow down on the top-notch European cuisine, such as the rabbit, hazelnut and prune terrine or the gnocchi with grilled artichokes. If you can, make it here for the Sunday roast. At over £20, it's not cheap, but it's worth splashing out when the food is this good. There's an equal attention to detail when it comes to the drinks, as there's a wide selection of excellent beers from brewers such as Five Points, Siren and Fourpure. In the world of gastropubs, this is a fancy place to eat. More restaurant than pub, you'll struggle to find a main under £19, but you get what you pay for and this is worth the outlay. Cheffy-sounding dishes such as juniper-cured beef, or courgette flower with smoked trout should give you an idea of what to expect; although there's a less expensive bar menu with more traditional items to pick from. Befitting the location, the champagne list is well curated, and if cocktails are your thing, you'll love it here. The poshest pub on this list - it’s got a Michelin star to prove it - however it retains an intimate charm. The kitchen here has a real fondness for game, so expect to see a fair bit of deer and the like popping up; the ultimate, though, might be a roast rump of beef with bone marrow. The menu’s always changing, so check ahead. Expect to pay perhaps a little over £20 for your (hefty) main, but you won’t feel cheated. The Pig and Butcher made it onto our map of the best roast dinners in London, with special mention for the gravy. It's three days in the making, during which time stock is gradually reduced until it's rich and thickened. Perfect for pouring all over those roasties. 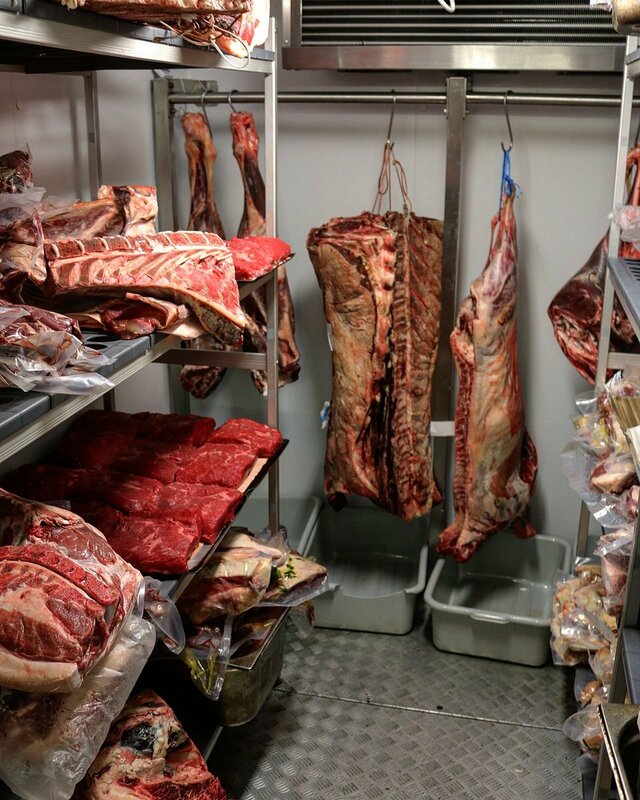 That level of attention to detail should mean it's no surprise this place takes its meat very seriously ineed. One of our favourite gastropubs. 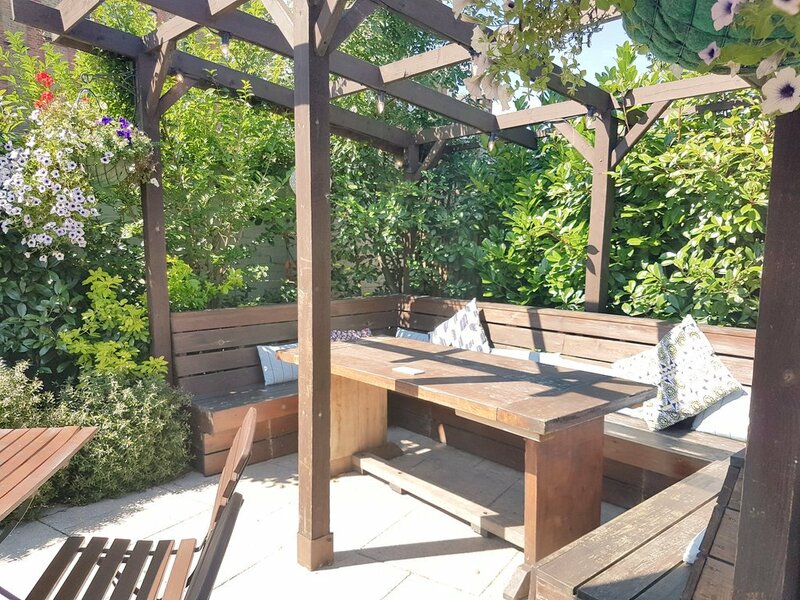 The rapid gentrification of SE24 has given Kirsty and Phil plenty of options for their Locations, and the success of the Tulse Hill Hotel is proof of how much this area has changed. But sneer not, the food here is fantastic - especially from the hot coal Robata. On Saturdays there's a bottomless brunch with unlimited bloody marys, aperol spritz or prosecco. 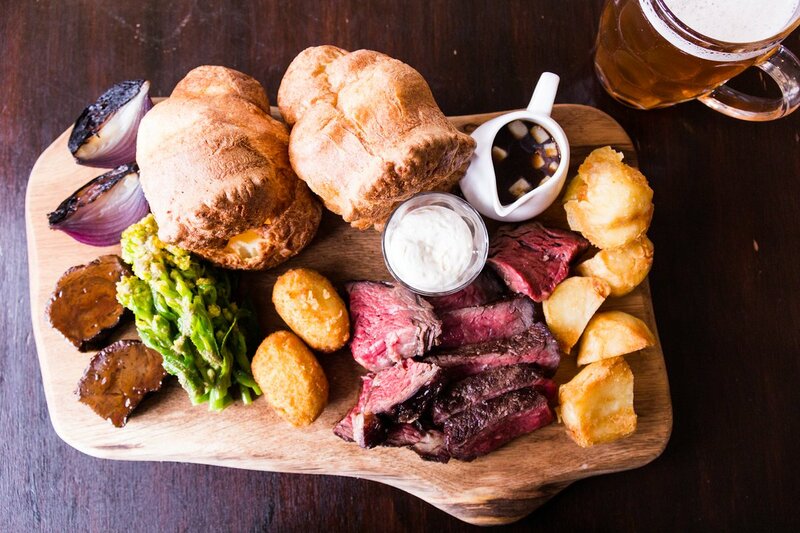 The Sunday roasts are served until 9pm, so if you over-do it on Saturday night and need a pick me up, you've got time for a serious lie-in. 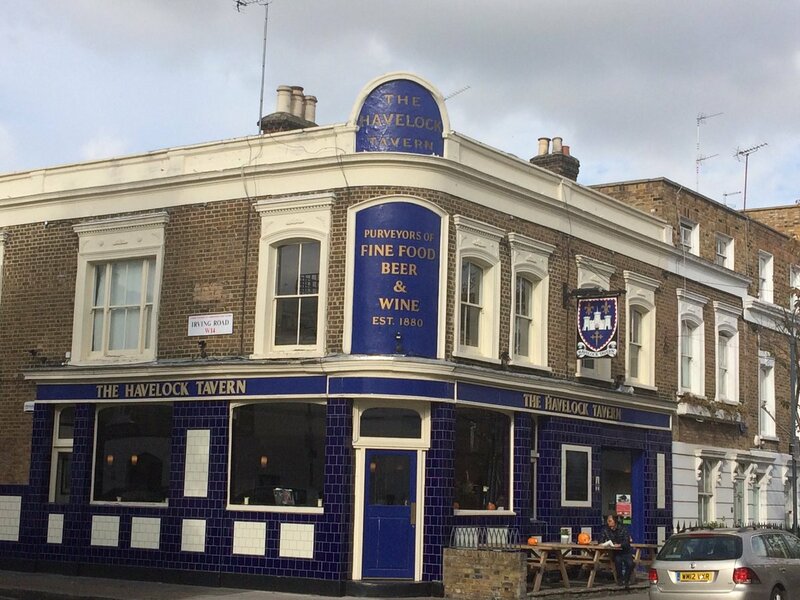 A true pub through and through, the food might have gone gastro at this Hackney Road watering hole, but the rest of the place hasn’t. 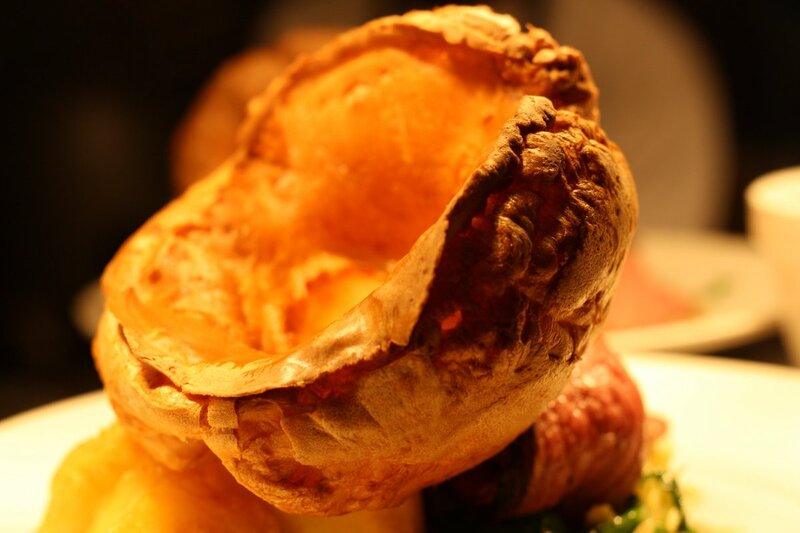 Well-cooked, and full-flavoured meat is buoyed by crispy roasties, lovely soft Yorkshire puddings and some hearty gravy that tastes like it’s had some love given to it. A true local, but well worth travelling for. Be sure to look up when you're here - the ceiling is incredible.